In order to understand the paradigm of the Founders and Framers we will need to see both the principles they knew and how they applied those principles. The following experience demonstrates the importance of being able to apply the principles that we learn. During our education all of us learned certain principles. The principle that will be used in the example was learned in geometry. A right triangle is one in which one of the angles is a right or 90 degree angle. Certain relative dimensions are indicative of the existence of a right triangle. If you have a triangle that has one side measuring 3 units, one measuring 4 units, and one measuring 5 units, the triangle is a right triangle. Some of you who may not be mathematicians are wondering why we are going to the effort to expound on this in so much detail. Some may consider this as trivia and even refer to it as nonsense. The point is to show how we can apply a principle to a certain situation. So what can you do with that information? Well first in an academic environment you could at least pass the test that you know is coming (or at least that question on the test). Secondly you could impress your friends and maybe your parents with your knowledge. Often that is the extent of our usage of the knowledge that we obtain in school. Now to share with you a more useful application discovered for this principle. But first let us add a little more theory. A parallelogram is a shape that has opposing sides of the same length. Another characteristic of a parallelogram is that the angles of opposite corners are equal as well. A rectangle could be defined as a parallelogram that has 4 right angles. Now let us continue our story. A friend and I obtained a summer job working for a contractor installing aluminum siding and other small projects. One of the projects that we were assigned required us to pour a rectangular slab of concrete. We cut the boards for the forms and nailed them together. We could see that with the movement of the forms even though we had a parallelogram that approached a rectangle somewhat we needed to have it square in the corners. As we were using our trial and error method, my friend had an epiphany (or a eureka moment). He discovered that there was actually a practical application of what we had learned in geometry. If we marked off 3 feet on one side of the form and 4 feet on the other side of the form then moved the form around until the distance between the marks equaled 5 feet, we could get the form squared up before the concrete was delivered. 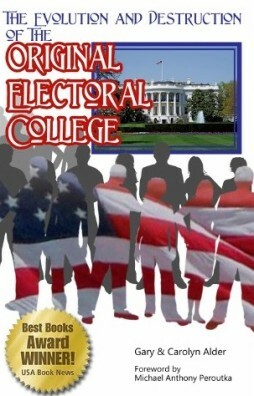 Just as this experience demonstrated vividly that there was a practical use for the knowledge gained in geometry class, when we recognize the principles that were implemented by the framers of the Constitution and what the principles were designed to accomplish we need have no question as to why the Constitution was structured in the way that it was. On the other hand if we look at the Constitution as just a collection of details without an overall framework and implementing only the fad of the day, we see no reason why the Constitution shouldn’t adjust to every fad or passing fancy of our own day.